WASHINGTON — Ask a scholar of the Maya to describe Dumbarton Oaks, and you will learn about a world-renowned center of pre-Columbian research. Ask a medievalist, and you will hear about the rare Byzantine collection, while a landscape architect might refer with admiration to the center’s historic terraced gardens. 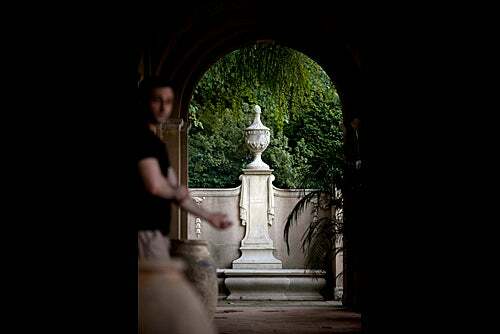 It used to be difficult to get the full picture of this Harvard outpost spread across 16 verdant acres in the Georgetown neighborhood of the nation’s capital, in part because it long functioned as something of a walled paradise for scholars looking to immerse themselves in one of its three very different areas of specialized research. 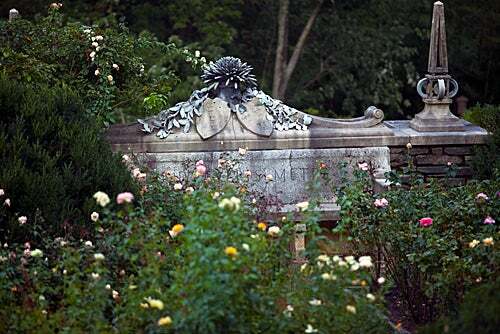 But more people now are witnessing the treasures of Dumbarton Oaks, partly because of the opening of new library and museum facilities in recent years that were planned under former director Ned Keenan, and because of the efforts of current director Jan Ziolkowski to increase connections with the Cambridge campus and reach out to political, educational, and cultural leaders in Washington. 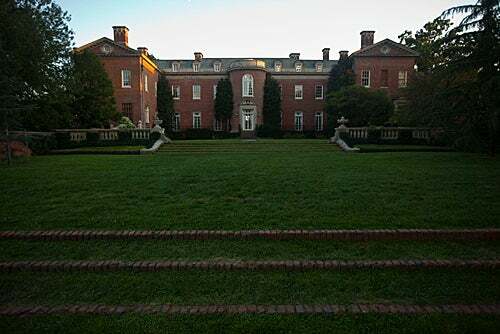 Dumbarton Oaks was purchased in 1920 by Robert Woods Bliss, a Harvard alumnus who had a successful career in the diplomatic corps, and his wife, Mildred Barnes Bliss, heiress to a fortune built on Fletcher’s Castoria, a patent medicine first marketed in the 19th century. 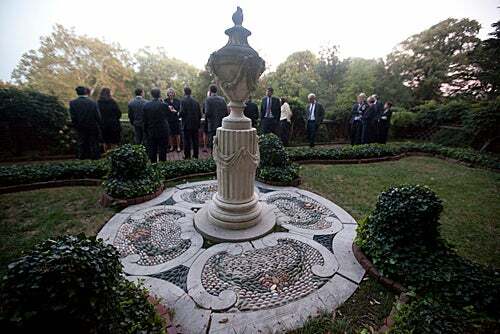 The Blisses were avid collectors of Byzantine and pre-Columbian art, and in 1940 donated their collections and an associated research library to Harvard to serve as “a home to the humanities.” They also gave the property, including the gardens that Mildred Bliss had developed with noted landscape designer Beatrix Farrand. “Their idea was that a cultured public could enjoy the gardens and occasional concerts, while research fellows brought here could have years in a beautiful setting in which they could produce scholarly work in a sustained way,’’ said Ziolkowski. The construction of a new library in 2006 has attracted an increasing number of scholars, and the renovation of the house to create new exhibition space in 2008 has led to a dramatic increase in museum-goers who come to view such artifacts as luxury Byzantine jewelry, impressive figural floor mosaics, carved ivory icons, or golden figurines left by the Inca and exquisite Maya ceramics and sculpture on display in the galleries. The gardens have also been drawing new visitors, in part thanks to two installations of art that John Beardsley, director of garden and landscape studies, arranged to display there. Ziolkowski also has expanded the number of public lectures and the number of researchers studying at the center while increasing connections to universities in the area and other cultural institutions, such as the Library of Congress and the Smithsonian Institution. He also has established summer internships for Harvard students and encouraged class visits from Cambridge. 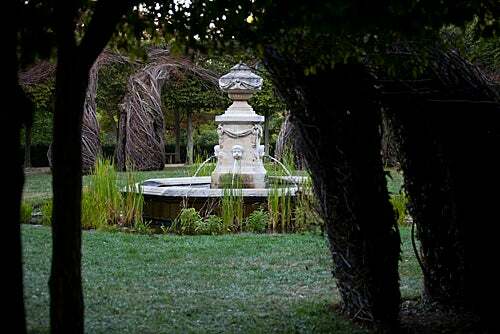 The director sees the facility’s constituencies as not only Harvard students and faculty, but also scholars around the world working in each of the three fields featured in the Dumbarton Oaks collection, as well as the local diplomatic and cultural communities. The event, co-sponsored by the Mexican Embassy and held in a room featuring a painting by El Greco and a sculpture by Tilman Riemenschneider, was a fair example of the kinds of public engagements that the center promotes. The center has been opening up to the public in other ways, too. 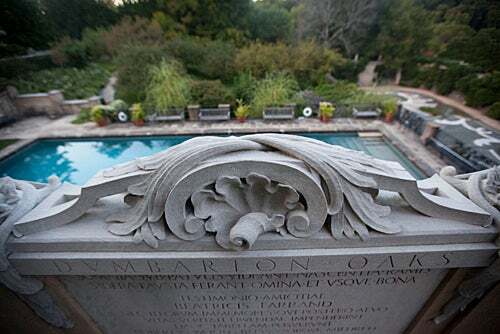 For the fourth year in a row, Dumbarton Oaks has seen attendance in the gardens grow, from 16,171 to 23,428. In the museum, the number of visitors per year surged 30 percent from 2004 to 2009. Concerts held in the music room are occasionally broadcast on public radio. Although not open to the public, the library has doubled the number of researchers to whom it extends visiting privileges in the past decade, and it now regularly posts online the more than 2,500 monographic titles it acquires each year to help other libraries with their own collection development efforts. Meanwhile, Mildred Bliss’ correspondence related to the gardens, a treasure trove for historians interested in landscape architecture — particularly those focused on the career of Farrand — is being digitized to increase access. In addition, the extensive correspondence between the Blisses and their art adviser, Royall Tyler, has been transcribed and digitized and is being annotated for web publication. This correspondence chronicles, among other things, the Blisses’ interest in and acquisition of Byzantine, pre-Columbian, and European art objects that came on the market in the 1920s and ’30s and formed the nucleus of the collection. In Byzantine studies, Director Margaret Mullett is overseeing the creation of an online database that will catalog all of the seals used to secure correspondence that are housed in the collection. She is also planning a summer school program for students interested in learning how to read ancient seals and coins. “These are scarce skills, and I think it’s an obligation we have to ensure that there’s a new generation of sigillographers and numismatists,” she said. The pre-Columbian program, in addition to holding symposia and organizing lectures such as the one on the Florentine Codex, is preparing a catalog of the Maya collection. This collaborative initiative has brought together leading scholars in the field of Maya studies to probe the glyphs, iconography, and materials of this important early collection. The result will be both a print and an online catalog available to scholars and the public. 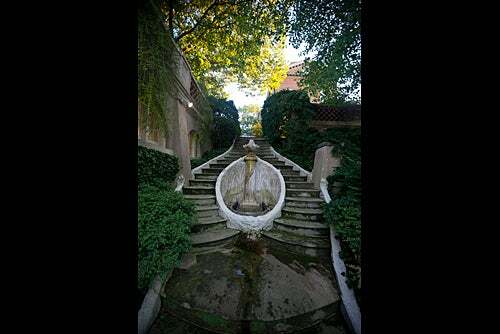 Located in residential Georgetown, Dumbarton Oaks is full of otherworldly gardens, nooks, and crannies, and fairytale paths, like this one. 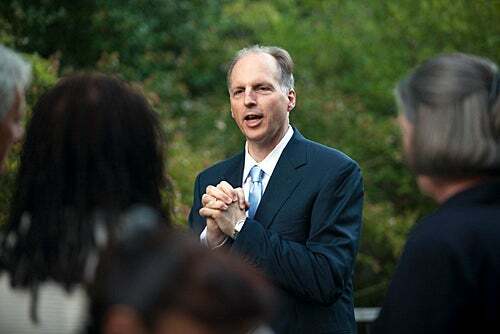 Jan Ziolkowski, Arthur Kingsley Porter Professor of Medieval Latin and director of the Dumbarton Oaks Research Library and Collection, tours the grounds and gardens of Dumbarton Oaks. This ornate wall peeks from one of the many gardens. A visitor passes through an airy corridor. 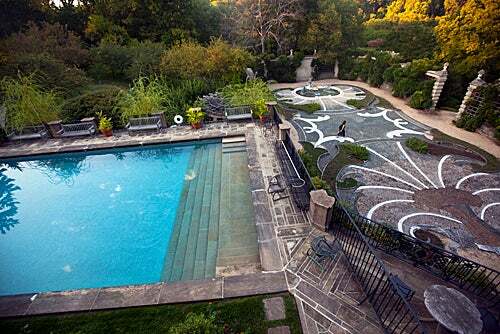 This patterned landscaping, seen from above, resembles a fleur de lis. Who wouldn't want to soak in this Greek-style pool? These playful fountain carvings are of boy cherubs riding horses. 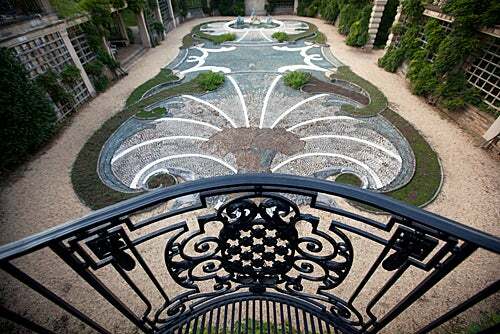 The expansive, and meticulously manicured, yard at Dumbarton Oaks. This serene but strange fountain, surrounded by its own moat, makes a clandestine spot. 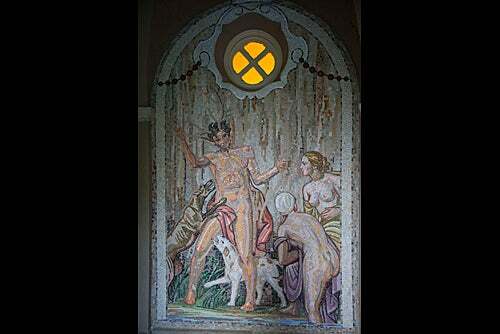 This mosaic of a horned god overlooks the pool. This plaque, carved in Latin, adds to the mystique of Dumbarton Oaks. Translator, anyone? This pillar, encircled by an intricate stone layout and beds of ivy, is just off the beaten path.